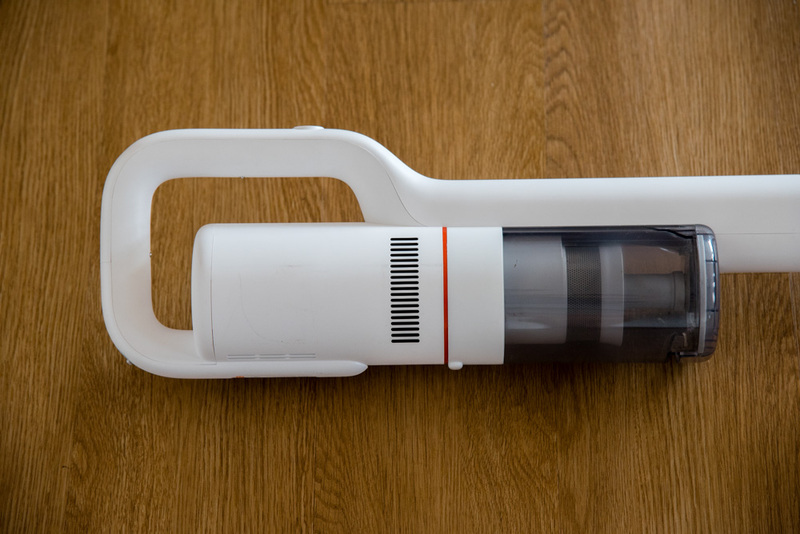 The Roidmi F8 Storm is a cordless vacuum that’s gotten quite a bit of attention. There are three likely reasons: an aggressive PR campaign, Roidmi’s association with Xiaomi, and the F8 Storm’s low(ish) price. That PR campaign is why you’ve heard about the F8 Storm from CNET, Forbes, Fox, The Verge, and ourselves — even before the product has launched. The Roidmi F8 Storm is still an Indiegogo project at the time of this writing. The brand is associated with Xiaomi’s Eco-chain enterprise, giving it the Xiaomi halo of making good products at low prices. So how low is low? 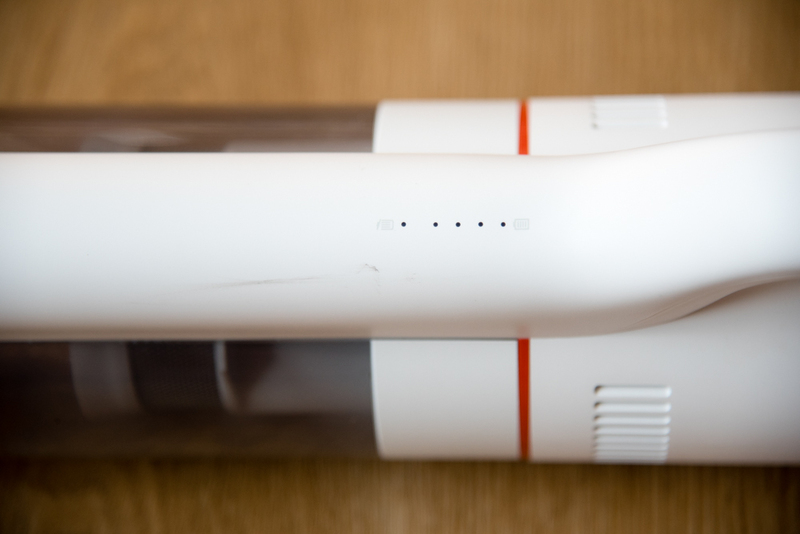 The lowest Indiegogo package is US$289 for an F8 Storm, with an estimated delivery in August. Stocks are limited though, and you might end up having to back the US$319 package. I’ve had a Roidmi F8 Storm for about three weeks now. The machine is actually quite all right, except for one thing I’ll write about at the end. In the meantime, I don’t think I should rate a product that hasn’t even hit production yet, so consider this a hands-on instead of a review. The Roidmi F8 Storm is pretty right out of the box, with its minimalist white body and smooth curves. But after using it, you realize why you don’t see a lot of white vacuums. White gets dirty. Easily. My F8 Storm has a few black smudges from cleaning, so don’t expect yours to stay pristine for long. Its curvaceous body also means you can’t lean it on anything. Even when lying down, it’ll fall to one side. Roidmi includes a magnetic holder, which I didn’t try. You’re supposed to stick it on a sticker that you stick on the wall. My wall has weak paint, which has torn off before, so this is not an experiment I’d like to run. However, just playing around with the holder makes it clear how it works. 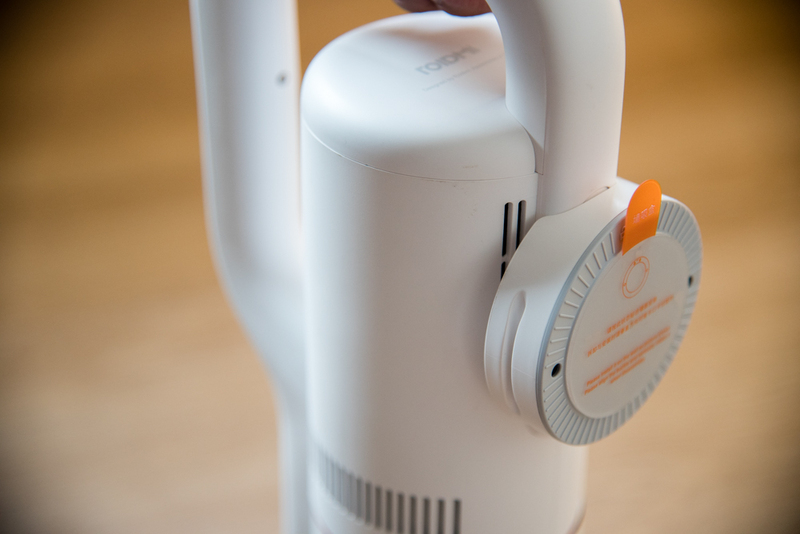 The holder magnetically attaches to the F8 Storm, but it’s not powerful enough to hold onto it. 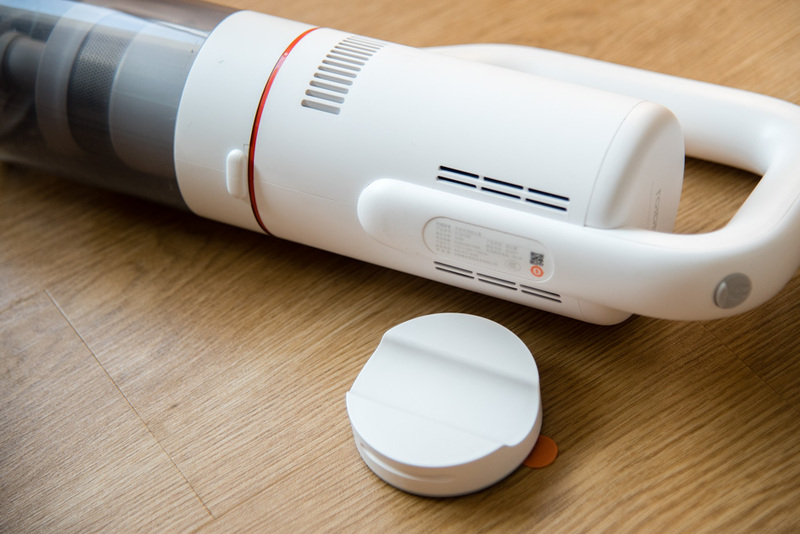 If you mount the magnetic holder too high, for example, the F8 Storm will slide downwards and off. 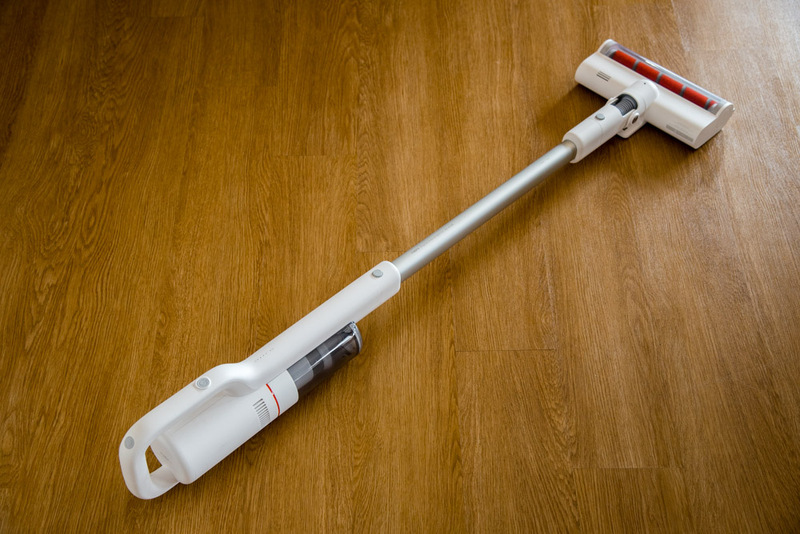 You have to mount the holder low enough so that the F8 Storm can stand on its roller brush. The magnetic holder will then help to lightly grasp the F8 Storm and prevent it from falling over on its side.